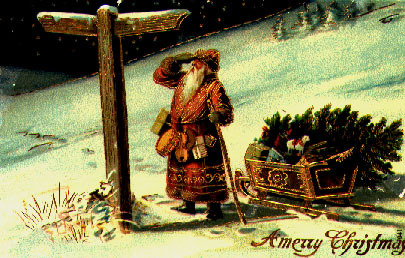 Another important custom of Christmas is to send and receive Christmas cards, which are meant to help express the sentiment of the season. 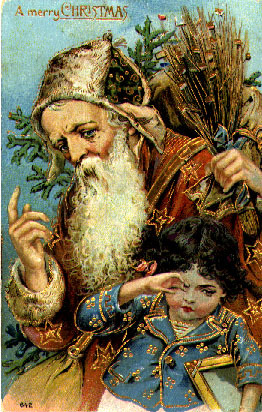 Some are religious in nature; others are more secular. 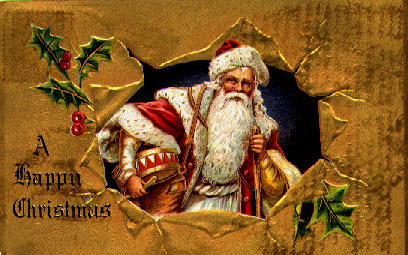 Some of us begin sending Christmas cards early in December to friends, acquaintances, and co-workers. 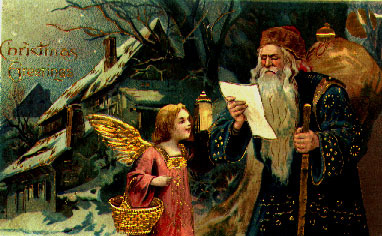 The post office advises customers to mail early in the season and avoid the Christmas rush. 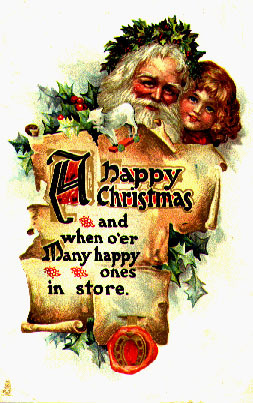 Some people heed the advice; others wait until the last minute and then are upset when their loved ones have not received the greeting card or the present which they sent. 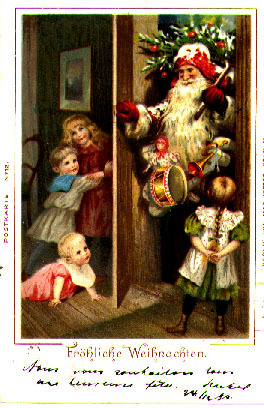 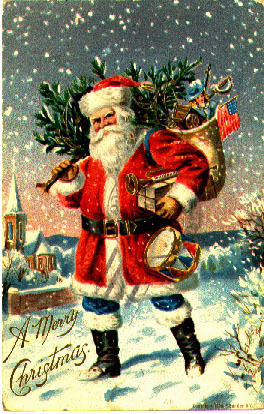 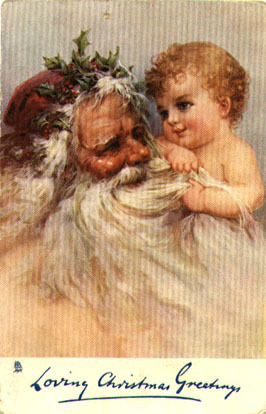 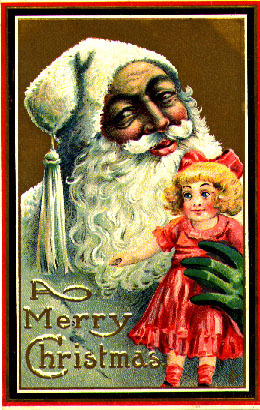 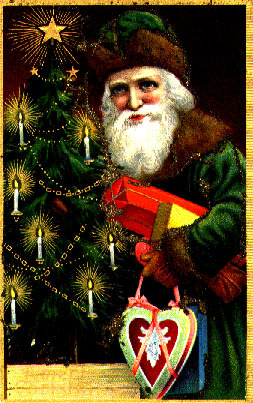 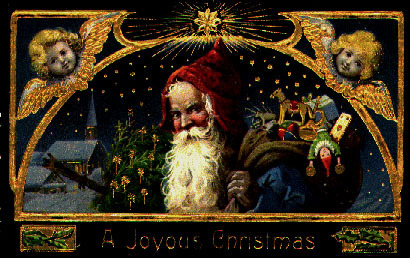 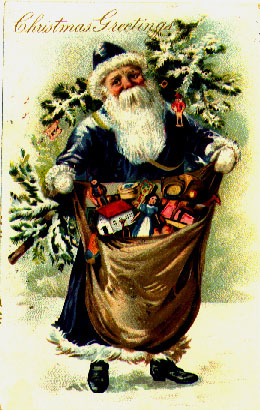 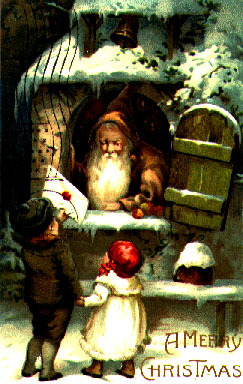 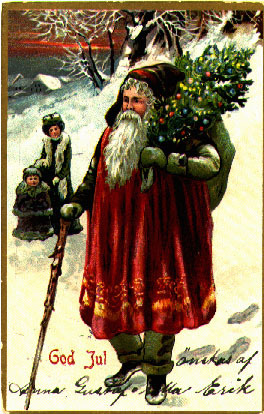 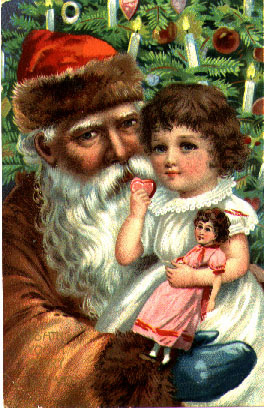 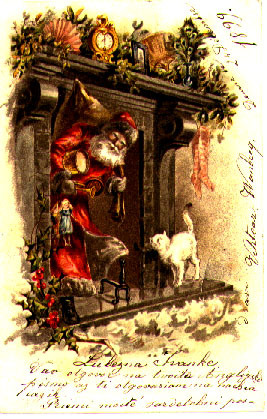 I have collected some old Christmas cards, I hope you will like them.